In early 1999, programmer Ben John left his job at Psygnosis in Liverpool, where he worked on Colony Wars, to set out and develop his own Game Boy Color game. To say he was enthusiastic about Nintendo’s portable system might be a bit of an understatement. He has all seven Tetris blocks tattooed on his chest and once declared the Game Boy to be the greatest invention to come out of the 20th century. 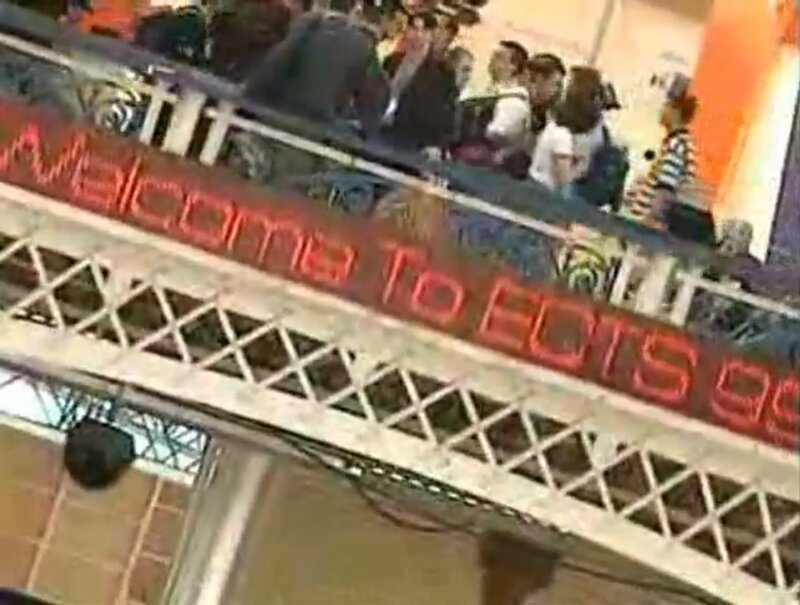 The European Computer Trade Show at West London’s Olympia exhibition hall brought him, his father Mike, and his longtime artist friend Dan Crawley to exhibit the tech demo that they, especially Ben, had spent all year preparing. The goal: turn their gaming dream into a reality. The clever ways in which the ambitious demo pushed the Game Boy Color’s limits impressed publishers Codemasters, Take 2 Interactive Software, and THQ. Its game engine, later coined “SLIT3D,” used a combination of self-modifying code and large data tables of pre-calculated information to make three-dimensional environments run with up to 16 sprites on the screen at the same time (link). While Sonic Adventure, Final Fantasy VIII, and Donkey Kong 64 dominated the showroom that year, the representatives at Eidos, England’s largest gaming company at the time, stayed modestly to themselves in a private hospitality suite on the first floor. They, too, saw the demo and struck up a deal to partner with the Johns and Crawley. Ben’s hard work had finally paid off. The next month, Iain McNeill, a producer at Eidos, was assigned to head the project. Convinced of the game’s promise, McNeill left Eidos. His father, a businessman with 30 years experience, soon joined him to become the group’s much-needed financial manager. Craig Stevenson, another Psygnosis alum, pitched in on level design. Crawley handled the artwork, while the remaining pixel art duties were contracted out to a local man named Fad Stevens (link). They called that new company Slitherine Software. 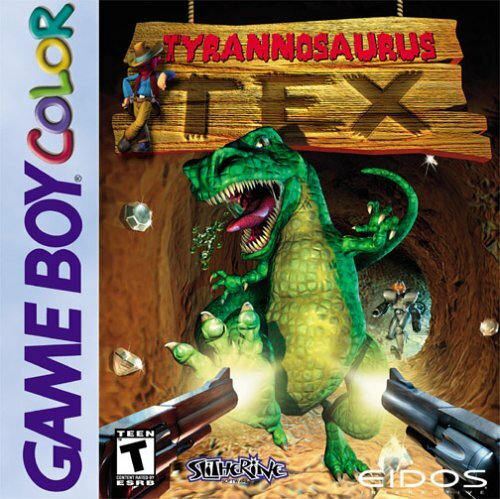 Eidos officially announced Tyrannosaurus Tex (“T-Tex“) in January 2000 and promised a release in both Europe and the U.S. by the end of March (link). Details about the game started to leak out in various interviews with the media. T-Tex‘s fanciful fable begins 2,000 years ago when a spaceship full of alien robots crash landed in the middle of the Texas desert. As the bots make repairs to their spacecraft, they build a grand underground city where they uncovered dinosaur fossils. With the help of their advanced alien technology, they pull a page from a Michael Crichton novel and revive the dinos, patching them up with spare parts from their ship. For years and years, the robots and cyborg dinosaurs live harmoniously together. That is, until gun-totin’, diamond-speculatin’ cowboys from the nearby town of East Wood show up and discover their secret world. “The story’s there really just to allow the dinosaurs, robots and outlaw theme,” Ben confessed (link). 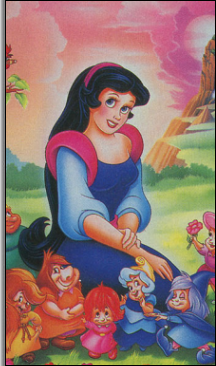 The narrative was to be told through vivid high-color artwork. Although the Game Boy Color is limited to showing only 56 colors simultaneously, T-Tex‘s cutscenes would be able to handle over 2,000 thanks to an in-house-developed workaround that switched color palettes mid-chunk on the screen. 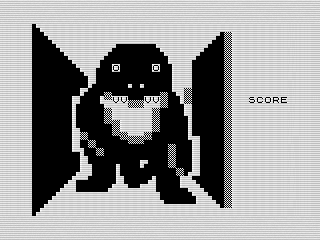 3D Monster Maze on the Sinclair ZX81 was said to have been an early inspiration for T-Tex. In that 1981 game, players navigate a corridor maze to try to reach the exit before a ravenous Tyrannosaurus rex catches up to them. The fast-paced action of Quake was another influence. Slitherine revealed that missions would involve Tex exploring a diamond mine, an underground city, and a crashed spaceship while using keys, disabling force-fields, grabbing pick-ups and power-ups, moving through teleporters, avoiding traps, and saving lost townsfolk. Finding diamonds scattered throughout levels would allow Tex to enter secret areas containing runes, which unlocked hidden characters and arenas in the game’s deathmatch mode. Some missions stressed getting to the exit in time before the shaky mine caved in on Tex. As for Tex’s arsenal, the Colt 45, a trusty revolver that fires at a reduced rate when all other gun ammo runs out, would serve as his basic weapon. That single Colt could combine with a second Colt later in the game to take advantage of dual-wielding action. The Harpoon Gun would be another tool of destruction that, when fired, could be steered in the air to reach a vulnerable dino. A third weapon would be the Laser Rifle, a fast-shooting blaster that is best used to blow up bots. The short-range Grenade Launcher would be able to bring down most dinos and robots with a single shot. Ignitable sticks of dynamite would round out the normal weaponry. A special hi-tech secret gun called the P.U.L.S.E. would make a big impact much later in the game with a high rate of firepower and low ammo usage. Over 10 types of enemies would roam T-Tex‘s 28 levels, from Velociraptors to ammo-stealing Trundle Bots. Slitherine split T-Tex‘s enemy types into two categories: Path Followers (i.e. various robots) and Hunters (i.e. dinos, rats, and bats). The former would behave like guards, keeping to certain assigned patrol patterns, while the latter would move more intelligently and faster, pursuing players. To pull off the effects of a monstrous Tyrannosaurus stomping towards players, Stevens drew 10 separate sprites, each one a different size. The game would utilize a pseudo 3D sound system, giving audible warnings of an incoming dinosaur approaching from the left or right of the screen. Slitherine promised a steady 20-30 frames per second throughout the estimated 20 hours that it would take to beat the main game (or 40 hours for 100% completion with all runes collected). The most impressive feature of all would be the game’s multiplayer. Players would be given the choice of five characters. Each would come with a set of strengths and weaknesses. Tex, for instance, would start with only Colts but could pick up other weapons scattered around the map. T-Rex’s claws would be deadly, as would its bite, but the big dino could only rely on those close-range attacks. Hover Robot would be limited to carrying the Laser Rifle but could move quickly. Close Combat Droid also would have access to the Laser Rifle–and other weapons–but could not navigate as fast. And Tank, as the name implies, would come equipped with a powerful but slow-to-reload Grenade Launcher. 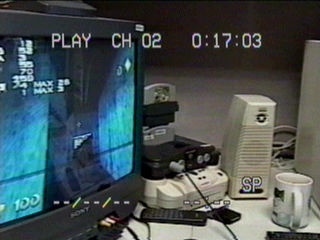 Two players would be able to go head-to-head through the Link Cable and frag each other in one of five arenas. This mock-up box prominently features a Teen rating, but the ESRB.org has T-Tex down as “E” for Everyone, citing only “Animated Violence” (link). In March, a possible Eidos takeover was reported when the publisher received its second profit warning in three months and its stock dropped from $9.64 to $4.86 on the London Stock Exchange. To avoid further decline in profits, and to not over-saturate the retail market, Eidos began delaying releases of key brand-name games like Tomb Raider for the Game Boy Color. After spring came and passed without T-Tex, rumors began to spread that the screenshots shown to the media were fake and that the game was nothing more than a scam designed to take money from the publisher. Some alleged that no actual work had been done at all. Slitherine took on these accusations by sending a prototype build to IGN in August. The cartridge contained a single basic training level without any multiplayer. In the same hands-on preview, it was revealed that Eidos had changed its mind about publishing the title. IGN stated, though, that after playing the game, they were “confident that T-Tex would be picked up for release” (link). Meanwhile, Nintendo Power teased T-Tex in its Pak Watch Release Forecast. The new release date was moved to the fall. When the European Computer Trade Show rolled around again in September, Telegraph‘s headline said it all, “Game Boy Advance steals the show” (link). While Nintendo’s handheld successor generated more and more buzz and continued to loom on the horizon, Slitherine was facing more delays on account of Ben’s constant programming hurdles. “It seems now that [Ben] was treading water and didn’t really have any ideas on how to fix the bugs that remained and so it was never going to be possible to finish the game,” McNeill said in a 2004 interview. “This seemed to have been too much for him” (link). Slitherine pushed back T-Tex again from autumn to “around Christmas” (link). To keep interest up, Slitherine started publishing a free bi-weekly comic called Adventures of Tyrannosaurus Tex (link). The strip delved into the backstory of Tex, the town of East Wood, and the events that preceded the game. A competition was held a month later to let fans submit their own story ideas. The winner and runners-up received original sketches as prizes. The manufacturing costs of the Texas-sized 16 megabit cartridge–half of which was used to store all of the high-color artwork–was one reason listed for the studio’s trouble with finding a publisher. Another was the publishing risk involved with banking on an unproven IP. With the forthcoming release of the Game Boy Advance, companies were also turning away from the Game Boy Color market. Slitherine accused the gaming industry of “restricting creativity and rewarding repetition” (link). This news was in direct contrast to a report written on IGN only a month prior that stated the game had been picked up by a new publisher that wasn’t “ready to step forward with an announcement yet” (link). McNeill now denies there ever being such a publisher. SCi Entertainment, Telegames, and Take 2 were among the publishers that turned down T-Tex (link). Fans banded together to form an online petition called “Save T-Tex” a few days after Slitherine’s devastating post as a last-ditch effort (link). And then things really took a turn for the worse: Ben suddenly left the country, stealing the hard drive that contained the game’s source code. 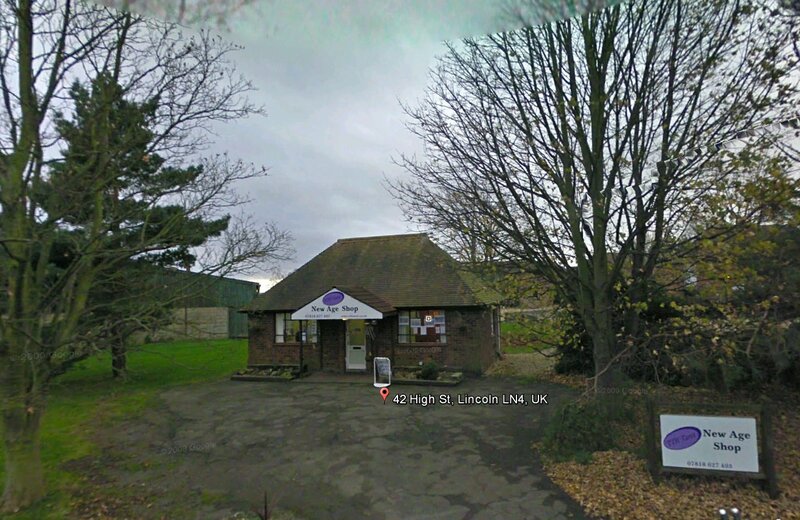 After the studio founder’s eccentric disappearance, Slitherine was forced to rebrand itself to avoid another shakeup. On March 17, 2001, the studio announced that it was “done with the game now and are working on other projects and we’re also looking at other platforms” (link). Slitherine blamed most of the problems related to publishing T-Tex on “the high royalty rates Nintendo charge for the cartridges and the low margins that result out of it,” calling the process a “royalty trap.” The company said that it would no longer develop for the Game Boy Color and would back away from the Game Boy Advance to go into the more comfortably open PC market. “Choosing PC as a platform came mainly down to the fact that there are no royalties, though it also makes development easier. No royalties means smaller companies can compete as PC games are much less of a risk to publishers” (link). “My background is in strategy and war games and that is what we worked on,” McNeill said. “Our first game was Legion back in 2001, which funnily enough has just been ported to the iPad” (link). Slitherine has since developed several strategy titles, mostly for the PC and Mac, but also for the PlayStation 2, PlayStation Portable, PlayStation 3, and Xbox 360. The company even released two historical battle games for Nintendo’s Wii and DS; it was the publisher for both titles. Financial problems continued to haunt Eidos in the years following T-Tex‘s cancellation. English publisher SCi, best known for putting out the ultra-violent Carmageddon, purchased Eidos in 2005. In 2007, the company laid off 200 employees and canned 14 more game projects (link). SCi/Eidos was subsequently taken over by Square Enix two years later. As of 2013, the Eidos name carries on with the Canadian development studio Eidos Montreal, the makers of Deus Ex: Human Revolution. To this day, no one at Slitherine has had any contact with Ben. His whereabouts remain unknown. The police and Interpol were involved at one point in trying to trace him down. “There is still a warrant out for his arrest if he ever returns to Britain,” McNeill said. Mike John, T-Tex‘s project manager, pulled a similar stunt as his son by disappearing to Thailand. As for T-Tex, the first-person shooter vanished from most gamers’ minds over the years, but in 2005, some inquired about the possibility of Slitherine uploading the game online. McNeill mentioned that the studio was actually considering making its older games, including T-Tex, open source. But Nintendo once again tied the company’s hands. “The GBC requires the Nintendo logo to be on the ROM to work. Unless Nintendo give you permission to use the logo it’s illegal. Nintendo does not give anyone permission to use their logo. Any ROM not made by Nintendo is illegal. That’s just how it is” (link). In addition to that, Ben was the only one who would know how to create a working Game Boy Color ROM image out of the source code. And then there were legal concerns related to Eidos and its investment of tens of thousands of pounds into the game. T-Tex simply could not be released posthumously. “Unfortunately this project is dead,” McNeill wrote in 2012 (link). 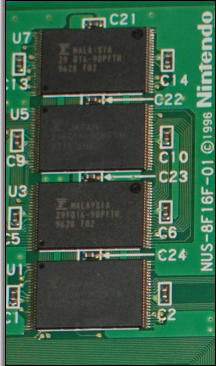 Aside from a few passing mentions in interviews and on Slitherine’s own forums, discussion about T-Tex went away for the most part until a flash ROM cartridge containing an early prototype surfaced on eBay on New Year’s Eve in 2012. The auction opened at a reasonable $89.99 and stayed in the $200 range up until the last couple of days when the price then doubled. In the final minute, that amount shot up to $720. The aggressive underbid came from a person in Japan. A sweeping-but-mostly-true generalization: If you know the theory about black holes, then you can apply that to what occurs once a prototype gets sucked into the home of a Japanese collector. For the most part, they’re never seen or heard from again. That’s not to say the Japanese are the only ones afflicted with this condition. No matter where you are in the world, when you start playing a game that the general public has never touched before, you risk getting a rush, a dangerous high that’s capable of creating a serious case of swollen head syndrome. This “mine-all-mine” moment may be real but it is fleeting. Just like any other game, the novelty of possessing an unreleased prototype that no one else has access to eventually wears off, and then it’s on to the next expensive, elusive piece of circuitry. In a way, the desperate cries from out-of-the-loop gamers keep alive the only passion left in these things long after they have been privately played/stared to death and deserted in an Ikea Detolf. That sure was a close one, Tex. 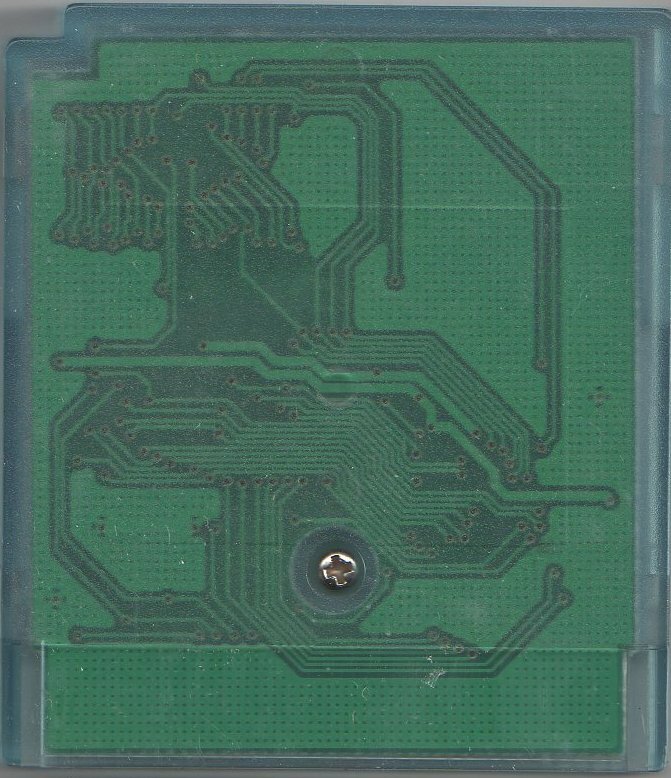 This particular cartridge, the only known remainder of T-Tex to have ever been found outside of Slitherine, is dated March 21, 2000 and comes from former Tips & Tricks magazine Senior Editor Jason Wilson. If the clear, see-through case wasn’t a giveaway, this is not an official Nintendo development item. McNeill, unfortunately, was not able to tell me anything more about it. Before digging into the prototype to at long last excavate T-Tex, it might be helpful to first explain the rather odd-looking cartridge. 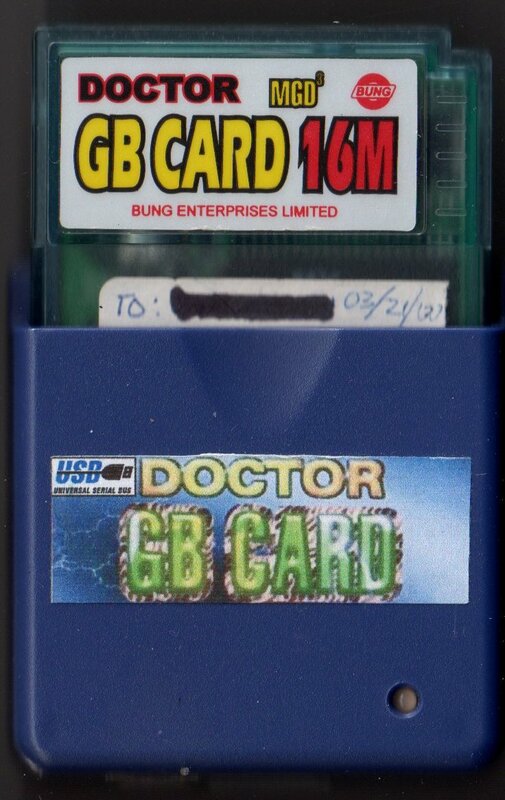 Bung Enterprises Ltd. pushed the Multi-Game Doctor 3, the grouping name given to the GB X-Changer and Doctor GB Card, on its now-defunct website as a quick, easy, and inexpensive development tool for amateur programmers and unauthorized developers alike. McNeill admitted in a February 2001 interview that Slitherine was not an official Nintendo Game Boy Color developer. “For some reason our application didn’t go through” (link). This might explain why T-Tex is housed in such a cartridge. To show its good (i.e. legal) intentions, Bung held an “Amateur Game Boy Games Coding Competition,” awarding $500 to the developer of the best game (link). R. Hunter Gough, an American from New Mexico, took home the $150 bronze award for his tile-sliding puzzle game called Coffee Drop (link). Official Nintendo development hardware was costly to buy and slow to use. If a studio met all of Nintendo’s strict licensee requirements, an official Game Boy Color development kit set developers back thousands of dollars. A 16M Doctor GB Card, however, retailed for only $50, and the GB X-Changer, which transferred data to and from the cartridge through a computer’s parallel port, was even cheaper at just $30. Bung also sold 4Mb and 64Mb flash ROM carts for $25 and $90, respectively. According to Bung’s F.A.Q. section, it takes 15 seconds to write a 4Mb Doctor GB Card and 100 seconds to write a 64Mb Doctor GB Card. 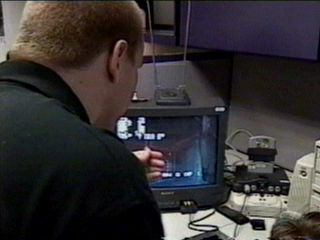 Bung offered development solutions for other game systems, as well, including a popular copier for the Nintendo 64 called the Doctor V64. Advertised primarily as a VCD player in Hong Kong, the V64 was in reality mostly used to play pirated games and act as an inexpensive game development alternative. Even some large, officially licensed developers like Acclaim opted to debug software using the V64. Five months after Gough submitted his game entry, on December 23, 1999, Business Wire reported that a U.S. Federal Court had ruled in Nintendo’s favor against Bung for selling the Doctor GB, the V64, and its other video game copiers. The Hong Kong manufacturer was ordered to pay over $7 million to Nintendo plus interest and received a permanent injunction that prohibited any future marketing or sales of the devices in the Americas. Bung ceased selling Nintendo copiers on March 13, 2000 and renamed itself First Union Technology (link). The company continued to operate under this new name, selling the exact same products as before, with the GB X-Changer now being called the Flash Linker. 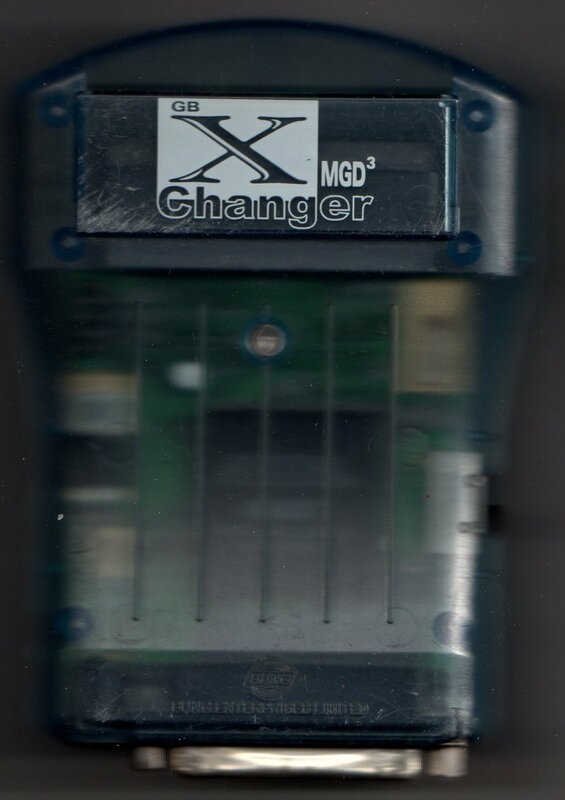 In recent years, the X-Changer/Flash Linker has become the preferred Game Boy dumping tool due to its reliability. It is also used by chiptune musicians. 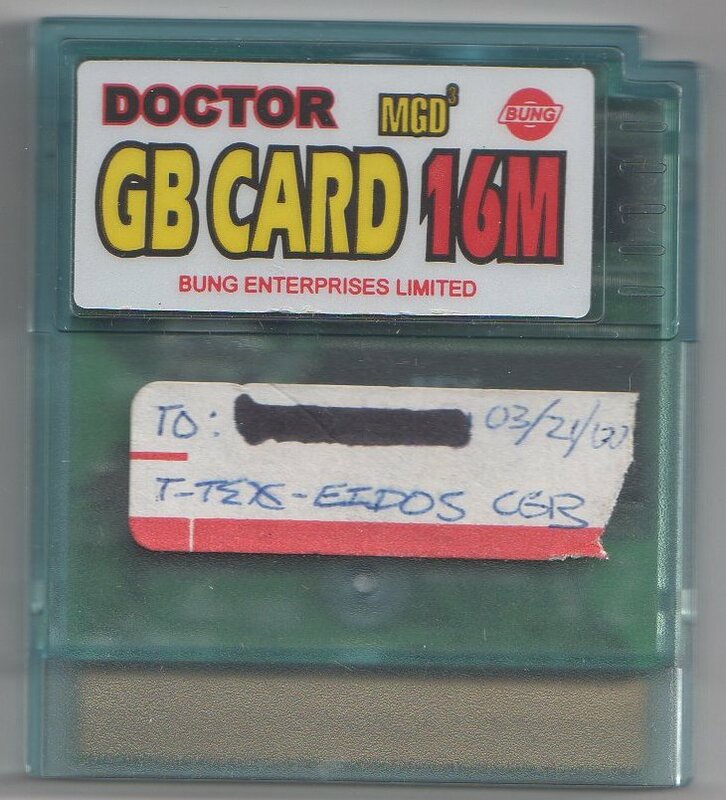 The currently hard-to-find, much-in-demand device was one of the only ways to retrieve and preserve T-Tex‘s data from the Doctor GB Card. After exhausting all of the foreign e-commerce stores, English-speaking game development enthusiast sites, and even music forums, another Bung accessory called the Multi X-Changer was spotted on eBay’s German site. I contacted the seller to see if he might also have a GB X-Changer, and to my surprise, he did, and sent over a couple of pictures and told me to make an offer. Unfortunately, by the time that he received my response, someone else had caught wind and swooped in to purchase it. A few days passed and a second GB X-Changer rather serendipitously popped up again on eBay.de. One huge snipe later, and it was mine. The German seller was a little taken aback that someone from the U.S. had won. She proudly told me that the GB X-Changer was her husband’s, and that he was a former member of the console groups Eurasia and Oldskool. “Trainers” and “intro screens” are typical calling cards for many console groups. 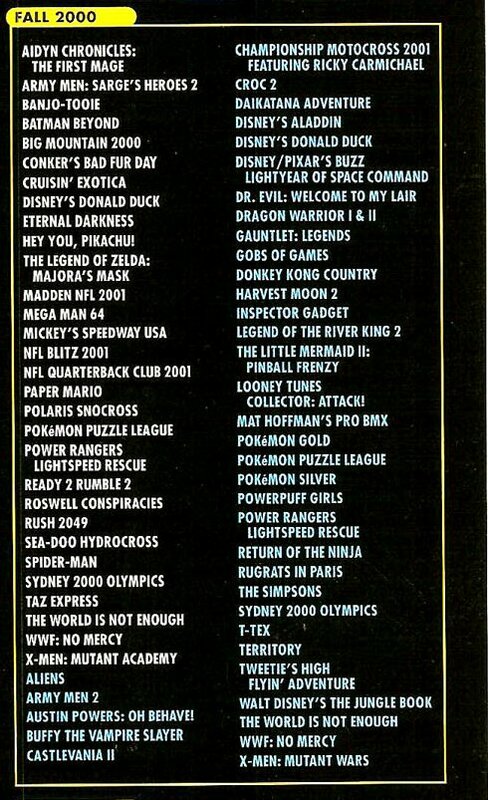 Online teams like these would engage in unequivocal gaming piracy, competing with each other to be the first to dump the newest titles to the Internet–sometimes within 24 hours of them hitting store shelves (link). An .nfo file with the group’s ASCII logo would regularly accompany the ROM image to take credit for the “exclusive” release and give shoutouts to friends and fellow scene members (link). In addition to the Game Boy Color, Eurasia (and, to a lesser extent, Oldskool) also pirated games for several other consoles like the Nintendo 64, the Game Boy Advance, the PlayStation 2, the Dreamcast, and even the WonderSwan Color. Not a small operation by any means, Eurasia was responsible for uploading at least 375 retail games (link). “Eurasia” and “Oldskool” can still be found in the file names of many ROM images online. Knowing the shady past of this equipment certainly complicates the whole “video game preservation” philosophy that this site tries hard to promote. On the one hand, I believe in the importance of archiving game software, but, on the other, my plans for the GB X-Changer were arguably no different than the previous owner’s: I was going to extract and make public game code that I had no legal right sharing. This piece of plastic had seen its fair share of unclean hands, and mine were theoretically no less dirty. Reading through the old .nfo files made me more than a little unnerved because a lot of the writing mirrored the same concerns and petty in-fighting seen in the so-called “classic game prototype preservationist” community–from the ethics of hacking releases to the self-righteous attitudes. Just as there has always been a kind of noble quality given to those who give away prototype binaries, similar accolade was shared among these groups for contributing games instead of “leeching” them (the term used in prototype circles is “ROM kiddies”). That said, there are some major fundamental differences. One could point to Nintendo’s Virtual Console to argue that classic game software is still profitable, and it certainly is, but classic game prototypes are nevertheless not the same as their respective retail releases because they are by definition unfinished drafts. A prototype is almost always not as fully playable as its completed version, and there is a reason why some games go unreleased–they’re not financially viable enough to be sold in stores. More importantly, getting a glimpse into the development process through a classic game prototype makes one more conscious of the incredible amount of work that goes into creating and ironing out a game, and that greater recognition arguably supports classic game re-releases by rekindling an interest in replaying older titles. Classic game prototypes are not substitutes for the final versions. They’re not meant for leisure play due to the bugs and unfinished elements. They serve more for academic deconstruction and documentation purposes. Unauthorized classic game prototype releases, therefore, do not directly compete with or in any way take away from commercial services like the Virtual Console. In that same vein, unreleased prototypes like T-Tex also inspire classic gaming by providing players with a purpose to revisit the past and perhaps discover the projects of smaller developers like Slitherine in the process. In short, there is an historical reverence that stems from studying classic game prototypes; classic game prototype preservation serves to bolster, not impede, the industry as a whole by expanding people’s understanding and appreciation for software titles and their makers. It is a sort of software archaeology that pushes the art form forward by chronicling its past. The same cannot be said with regards to console groups. Instead of giving gamers a greater insight and respect for games or saving history from rapidly decaying temporary storage media, a console group’s primary goal is to digitally leak byte-for-byte copies of the latest games or re-releases sold at retail, effectively stealing from companies and directly undercutting their employees’ creative efforts–putting both the future of the industry and peoples’ livelihoods in jeopardy. Feeling creeped out about the X-Changer was the least of my worries. Parallel ports have long disappeared from new computers, my laptop included. 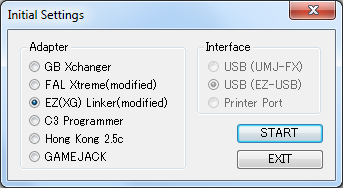 Cheap USB adapters work only with legacy printers and do not support other devices. There were no guarantees that a pricey ExpressCard parallel port adapter would work, either. I was frustrated and stuck until a generous person came to my rescue. This individual had modified a device called the XG-Writer Advance to accept Doctor GB Cards, and when he heard that I wished to preserve T-Tex, he graciously donated his dumper to help with the cause. Thanks to this person’s kindness, I might finally be able to extract the game data by using the XG-Writer in conjunction with FlashManager for GBx, a PC program made by a Japanese modder that is designed to read and write such troublesome flash ROM cartridges. FlashManager is compatible with Windows 7 32-bit, not 64-bit, so that made more work for me by having to create a new partition to install the operating system. I tested the program first by dumping another Game Boy prototype that I had already backed up. I wasn’t going to risk accidentally erasing the Doctor GB Card. The test dump was a success, so I removed the other prototype and gingerly inserted T-Tex. The data was immediately recognized as “Maze B.” I directed the XG-Writer to read the game and in mere seconds I had the .GB and .sav files on my hard drive. I shut the program off, took the Doctor GB Card out, and reinserted it for another round. Again, there were no problems reading the data. I did file comparisons on both dumps and they were a match. My OCD was not satisfied yet, so I went through the ritual a third time (I even found myself blowing on the ends of the cartridge–a bad habit of mine from growing up with the Nintendo Entertainment System) and wound up with more identical files. In hindsight, I should not have taken it any further than that because shortly after triple-checking the dump the XG-Writer died on me, its power LED slowly darkening from green to yellow to red to nothing. Its sacrifice was not in vain. T-Tex had been saved–three (partially four) times. The back-up binary can run on real hardware by writing the game data to another Doctor GB Card. 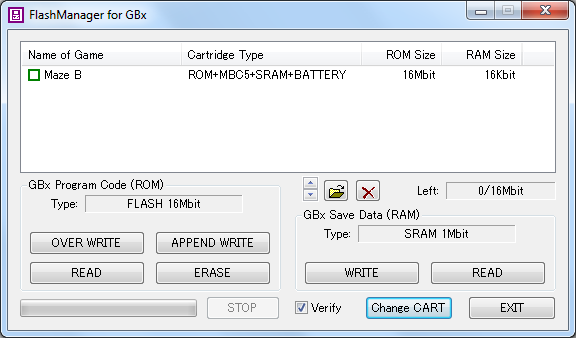 Other official and unofficial flash ROM cartridges, like the GB Smart Card, however, will not work. 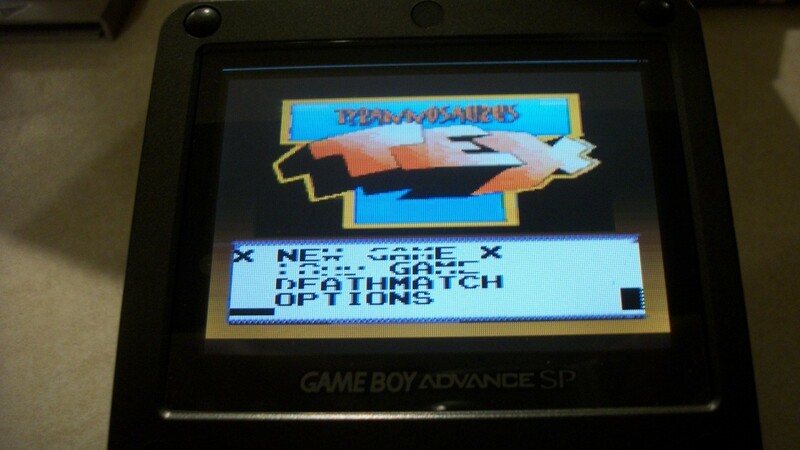 The prototype back-up playing on another Doctor GB Card; these screenshots were captured via an IS-AGB-CAPTURE. The XG-Writer donor placed T-Tex on a spare Doctor Card that he had in his collection and captured over 50 crystal clear screen grabs of the game in action using an IS-AGB-CAPTURE, a Game Boy Advance demonstration unit with SCSI interface, so I could visually verify that the dump matched up with the original copy; it did. As this site’s name implies, I am all about playing games. I believe deeply that the best way to promote game preservation is to promote game playing–the more gamers who download and play, the less likely a cancelled title or early prototype will fade away forever. Right now, there’s really no better insurance for a prototype’s legacy and survival. That is why it was worrying to think that people may not be able to test T-Tex for themselves. 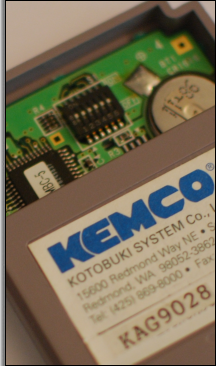 Fortunately for gamers without a Bung card and a parallel port, the back-up file does work on one Game Boy emulator, KiGB. This is the original prototype playing on a Game Boy Advance SP. And this is the back-up playing on the KiGB emulator with “Real Colors” enabled. T-Tex genuinely shows a ton of potential. Its gameplay is, indeed, remarkably fluid for the Game Boy Color’s 8-bit processor and never shows any hiccups or moments of slowdown. 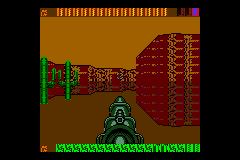 The areas are fairly sparse, however, with only some cacti (that explode after shooting them! ), rocks, barrels, patches of grass, statues, and simple wall textures to break up the environments. The bareness might be because the prototype does not show the game anywhere near completion. As in the IGN build, multiplayer is not available. Choosing “Deathmatch” brings up a level select screen (two Mine levels, one City level, and two Ship levels). Selecting one will cause the game to crash. 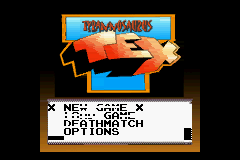 Deep within the game code lies text for a “Choose Character” screen, which gives the option of playing as Tex, a Tyrannosaurus Rex, or a Robot Droid. “Load Game” shows three save blocks. The first save block goes directly to the first level. 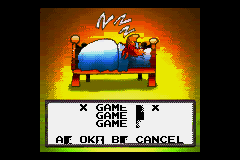 The second and third save blocks return the player to the title screen. In the final version, the game’s progress would save after completing a level. The prototype’s SRAM can be downloaded here. The “Options” menu presents three choices. “Text Speed” allows for “High” or “Low” speeds. “Cut Scenes” does not work and crashes the game. The first seven levels are fully functional. The trouble begins with the eighth level. The unfinished, eyesore graphics in level eight make finding your way around quite difficult. The player will have to blindly bang into walls to navigate, and the second square door won’t open even after finding its key, meaning that there is no way to reach the exit. The ninth, 10th, and 11th levels become progressively worse in terms of deciphering where to go but are more or less still playable. The 12th level, however, is a total mess. It is not as bad as the 13th, though, which is prone to freezing. Attempting to skip past the unlucky 13th level will cause the game to restart. In other words, the prototype effectively ends there. Several graphical quirks exist throughout the entire prototype. Audio has not been added. The controls are simple enough. A shoots, B strafes, Select switches Tex’s current weapon via a menu, and Start skips ahead to the next level (in the final game, the Start button would have brought up a scrolling 2D map display). Without a map, it is very easy to become lost. 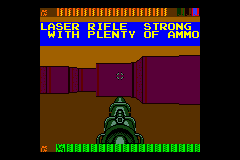 The player can select from five weapons in Tex’s inventory, although only four are named and defined in the prototype: Laser Rifle (“Strong with plenty of ammo”), Grenade Launcher (“Very strong but limited ammo”), Harpoon Gun (“Unlimited ammo but it can break”), and Dynamite (“Very strong once you throw it run”). All of the weapons behave the same, firing green squares in rapid succession (placeholders for the missing projectile sprites). The fifth weapon has not been drawn yet. The player does not have to worry about depleting ammo since Tex’s guns never run out. Ammo Packs that look like big treasure chests can still be picked up. There are also bluish purple orbs that, when collected, display the current level’s objectives, such as “Find the exit if you can” or “Find the exit use keys or you are doomed.” They are typically found near the beginning of a level or by a locked door. The robot-to-dinosaur enemy ratio seems to be about equal. Some blue mini tanks patrol back and forth within a designated area and send rings of fire toward the player. Others do not shoot or move at all. Flying bots circle counter-clockwise in processions. They fire at the player in later levels. These small bots are super nimble but do not shoot. These mean-looking mechanical machines are much larger but, again, do not fire at the player. As far as a few of the objects go, it is unclear if they represent other robots or are simply scenery decorations. For example, this static green fountain-like graphic might actually be some sort of a sentry gun. Then there is another contraption that looks almost like a streetlamp (or perhaps a broken holding tank where the robots once reanimated a dinosaur?). And these ceiling fixtures that look like smoke detectors just hang around, doing nothing. The aliens really dig old CRT computer monitors and giant lava lamps! Just don’t tell the space alien robots that their gun turrets are broken! Tragically, some prehistoric beasts appear both headless and tailless. (And that’s before Tex gets to them!) They just kind of stand there–understandably lifeless. If the player stands at just the right angle, though, the dinos will lunge forward. Blasting away at these sad lizards will send what remains of their scaly flesh flying all over the place. The baby dinos are more ferocious and will crawl up to the player for a quick bite. They do not have much in the way of AI, but they do lunge when approached. Some of these critters can even shoot! They also made an appearance in the IGN build. IGN Pocket commented how they “aren’t very smart or aggressive” and called them “weenies” (link). 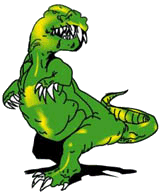 T-Rex, the undisputed king of the dinosaurs, is also the undisputed king of standing still in the prototype; the ferocious carnivore now practices nonviolence. Paneled walls act as doorways that can be walked through to access more areas. Some doors require keys to be opened. Teleporters beam the player around to different areas of a level and can quickly cause a great deal of confusion if Tex is not mindful of his surroundings. Arrows signify that a level exit is ahead. The game code can be explored with the use of a hex editor to show all of the prototype’s text. The cutscenes are thankfully written entirely in ASCII, making transcribing relatively painless. As you are about to see, Slitherine put a lot of time and effort into crafting T-Tex‘s storyline. The cutscenes are brimming with character and charm. Multiple endings would have appeared in the final version of the game. Two different endings appear in this prototype. Slitherine has shared with me every single piece of background art, 93 in total, from what would have been the final version of T-Tex. “I guess you owe us a beer now,” Marco Minoli, Slitherine’s Marketing Director, joked. This is the first time that anyone outside of the company has read all of T-Tex‘s wild cowboy tale. Well, howdy there, cowboy. Buy yourself a drink and let me tell you the strangest story you ever heard. The story of how I earned the name… TYRANNOSAURUS TEX! Texas, 1899. Forty years ago East Wood was a two-bit, one-horse town. I rode in one summer afternoon seeking fame, fortune and adventure. I parked my horse outside the local waterin’ hole, The Last Chance Saloon. My tongue felt as dry as a rattlesnake’s belly. I needed a drink. 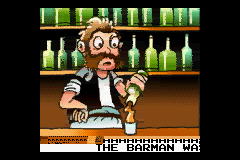 The barman was a friendly type. His name was Leon. ‘Barman,’ I called, ‘send me down a bourbon chocolate, and a glass of milk.’ Leon slid my milk and cookie along the bar, and began telling me of the strange goings on around those parts. Funny things had been happening around the old crater diamond mine, deep in the desert. Folk have been disappearing, and people are blaming the Coyote Gang, from over Palance Way. The Sheriff and his Deputy had been snatched by an unknown critter that lived in the mine. All that could be found of the mine owner was his spare posh hat, complete with a smoking hole right through its middle! Things looked bad, but all I could think of was the fortune that was there for the taking… Diamonds! I decided to head for the mine. I didn’t give a racoon’s tail for the missin’ towns folk, but those diamonds were too tempting to pass up. I rode outta town with Leon waving me goodbye. My journey to the mine was long and arduous. Water was scarce, but I survived. I arrived at the old crater just before sundown. I tethered Pickles, my horse, to a nearby post. The old crater looked innocent. It looked deserted. It looked terrifying. I felt a chill creep deep down into my boots. If I was heading into danger, I wanted to be armed. I pulled out my trusty Colt-45 and moved slowly towards the mine entrance. I headed into the darkness. It was dank and dismal and more frightening with every step I took. I held my Colt with one hand and scrabbled for diamonds with the other. After blasting all them crazy critters with my new guns, I found myself slap-bang on the edge of a deep ravine. A dangly-rope bridge joined the mine to the strangest town I ever did see. But this weren’t no time for sight seeing. A few of them big lizards and metal critters were hot on my tail. I ran across the bridge, not daring to look back. I reached the other side as fast as a greased polecat. Quick as a flash I whipped out my old bowie knife and slashed through the ropes supporting the bridge. Those varmints fell like stones. I turned with a laugh, and my jaw hit the dirt! What a city! I set about exploring. Maybe those prisoners were here-about someplace. Or better still, maybe there were more diamonds! As I got further and further from the city, I became more and more aware of this strange hummin’ sound, like a wasp’s nest in a water barrel. I poked my head around a corner and spied a door guarded by two of them meta fellers. I whipped out my new gun, The P.U.L.S.E. With a mighty ‘YEEE-HA’ I blasted them two freaky dudes until all that was left was a pool of molten metal. I didn’t hang about. I scooted up to them doors and slapped the big red button on the wall. And darn me if those two doors didn’t part with a silent glide just like a couple of bally-reenas! I flung the door open. Inside was a rich looking feller, looking a little shabby. He was the mine owner that Leon spoke of. He was hollerin’ so loud that I clamped my hand over his mouth. Those pesky bad guys might have been listenin’. He was very grateful at bein’ rescued. He gave me a big bag of diamonds and told me I could keep any I found. I asked him if he’d like to come with me deeper into the earth, but he declined. I guess he wanted to find his spare posh hat. We parted company with a cheery wave. I hope he got safely home. I opened the door, and there before me was the most beautiful girl I had ever seen. Flowin’ black hair, stunnin’ dark eyes… She was a young Indian squaw, overjoyed at being rescued by a handsome cowboy. I fell in love at first sight. She gave me a big kiss, and I blushed from my hat to my holster. After kissin’ me long and hard, she lay me down and took care of my wounds. Never had I felt a gentler touch than hers, not before nor since. She told me of a strange metal buildin’, guarded by two of them metal critters called ro-bots. I agreed to check it out. This cell held the East Wood lawmen. The Sheriff and his Deputy were looking a little worse for the wear, but both were ready for a fight. They were brave fellers. To show their gratitude for bein’ released, they gave me ammo for my guns. They also gave me their Colt 45! I was mighty thankful. But they immediately ran into trouble. They were ambushed by a mean lookin’ ro-bot feller. He shot the Sheriff, but he did not shoot the Deputy. Well, when I opened this cell, I met the strangest lookin’ feller I ever did see. Wild, staring eyes! A mad mop o’ hair! He was one of them eccentric scientist fellers. He described the awesome power of The P.U.L.S.E. One shot could destroy the biggest dine-y-saw or ro-bot. There was one snag – instead of ammo, The P.U.L.S.E. used diamonds! I was not keen on using it – I liked the feeling of being rich! Then he told me something that chilled my soul. An evil machine was controlling the ro-bots, a ‘compoota’ called Idego. It must be in that metal building. And it had to be stopped. Apparently, years and years ago, a strange flying machine crashed into the Texan desert. It ended up far underground, leaving a deep crater on the surface. It has remained there to this day. The ro-bots lived in this machine. Now the evil Idego wants to take to the skies again. It plans to use diamonds to fuel their flying machine; flying back out there, to wherever they came from. The explosion would kill everyone on Earth! I thanked the scientist for all his help, and vowed to stop the ro-bots and Idego from completing their evil plan. And then, with a cheery wave, the scientist was gone. Now I had a real job to do. I had to destroy Idego! I was stridin’ around that metal joint like I owned the place. Then I saw a gleamin’ door, stamped with the word Idego. I had finally made it! Well, I just squared up to that door and gave a mighty kick. Nothing in this world can match the power of my cowboy boots. The door flew open with a crash. I finally came face to face with this so called Idego. He was real nasty. The Idego was nothing more than a naught space spider! I never did like spiders. Klaxons sounded! Alarm bells rang! A warning message blared from nowhere… ‘Self-destruct mechanism activated. Detonation in 10 minutes!’ I had to get outta there! I hot-footed it out of that mine as fast as my cowboy legs could carry me. I stood back and watched the fireworks. I felt at peace. I felt like a hero. But most of all, with my massive bag of diamonds, I felt rich! Luckily for me, I bumped into a travelling salesman who gladly sold me a flask of water. Luckily for him, I was so desperate I gave him my entire bag of diamonds. I finally staggered into East Wood. I was exhausted and thirsty, and the only thing on my mind was makin’ in to the Last Chance Saloon. [Ending #1] They laughed at me. The miserable varmints actually laughed at me! I was upset, and left the saloon with their disbelief ringin’ in my cowboy ears. My fingers closed around something smooth. It was a diamond! I was rich again! I could buy a new horse! I strolled back into the saloon, waving the P.U.L.S.E. gun in the air. The cowboys watched, waiting for my next trick. I smiled. I pulled the trigger.